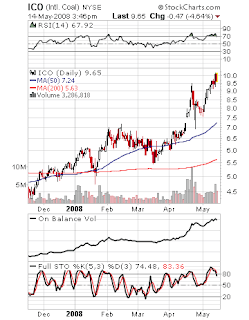 Here are selected charts from my watchlist. 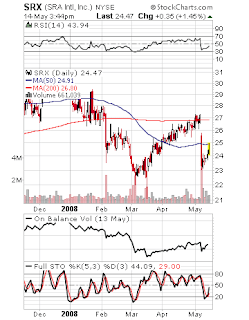 SRX: Breakdown-pullback with bearish flag forming. 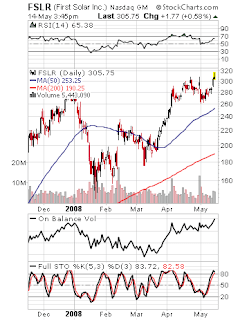 FSLR: Momuntume breakout. Hot sector. Overbought so I’d wait for a pullback. 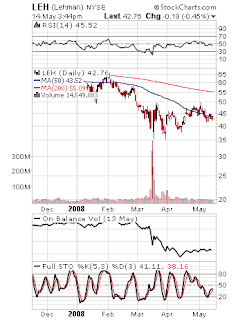 LEH: Weak downtrend consolidation. If it falls, lots of room to drop. Easy stop placement limits risk. ICO: Nice Uptrend. Possible buy on low volume dip to 20 day moving average. 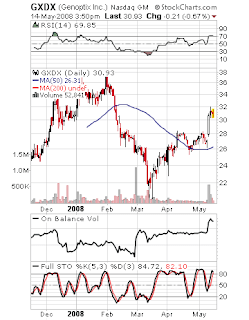 GXDX: Nice breakout after bottoming formation. GG: Classic short setup. 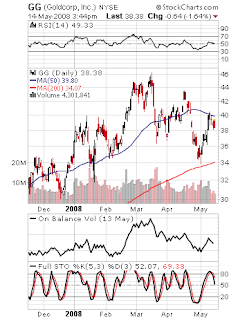 Typical of most gold stocks. Coming off overbought condtion on pullback. 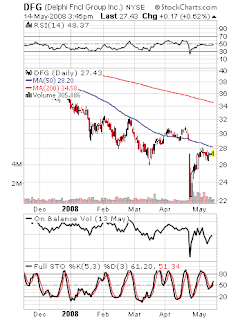 DFG: Breakdown-pullback with bear flag formation. Nice short setup. Warning, selfish post 🙂 How far down would you wait for FSLR to pull down?